Sales and marketing staff are often the most public facing employees in a business, and they play an important role in protecting the cyber security of a small business. Sales and marketing staff help to establish your business brand and the trust of customers. Since much of their work is done outside and remotely, they play an important role in reducing the risk of information loss. These employees often manage the following information and systems: customer data, partner data, contracts, financial data, CRM systems, customer support portals, press releases, public announcements, public facing websites and social media accounts. 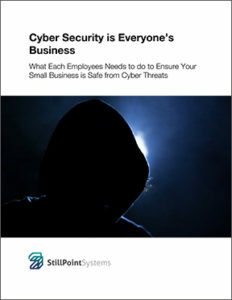 Understand the impact of cyber incidents on your organization while also gaining an in depth understanding of your information systems and how they are tied to the people you interact with. Review the types of information collected by your organization and consider how compromised data will impact your customers and partners. Develop a plan to respond to a cyber incident and make sure this plan is consistent with the regulatory requirements in your industry, legal considerations, and any commitments made to partners or other stakeholders. Protect all shared files with encryption and strong passwords. Protect access to your CRM and other online accounts with strong passwords, multifactor authentication and by restricting access levels. Promptly remove access to accounts when employees leave or vendors change. Protect customer information in quotes, purchase orders, invoices and payments. Share only necessary information and destroy any information after use. If doing business in foreign countries, be aware of specific regulations such as the General Data Protection Regulation (GDPR). Salespeople are an integral part of most businesses, but they too pose potential risks to your cybersecurity. By helping to ensure that they’re made fully aware of those risks and how to navigate them, your sales team can protect your business, not threaten it.